No way would they do this now that they play out of the perimeter. Not crazy about it either. Maybe I'd feel different if you found a way to add the tomahawk. Nice template. I like the second concept more than the first. The first is missing something. Obviously ATL is important to the City of Atlanta, but for some reason, I can't see the Braves representing that part of the city's identity. 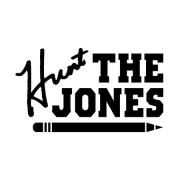 Maybe if it was a patch, or an element in a logo, but not as a wordmark like the Hawks. 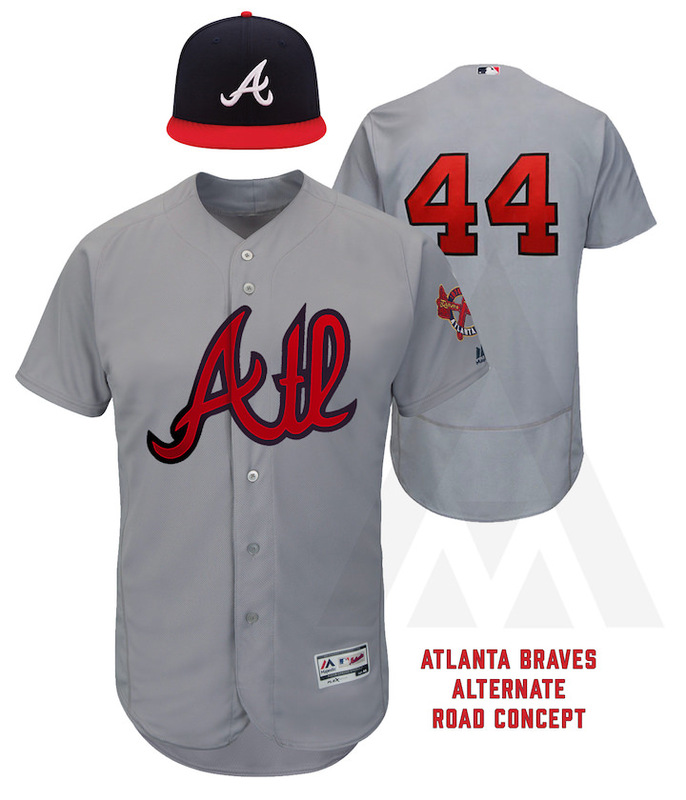 I like the concept of the "Atl" script, but it just doesn't work here. 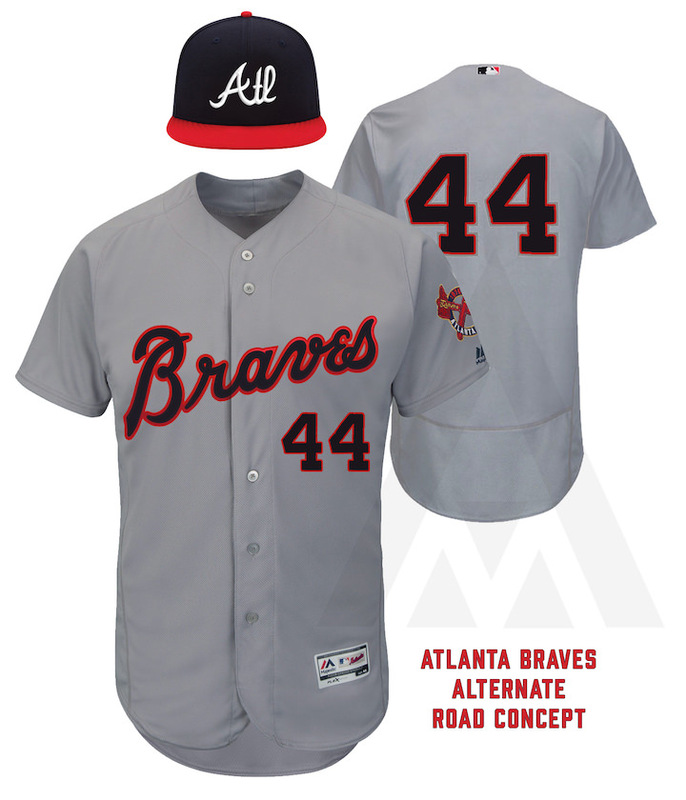 I also want to like the "Atl" hat, but it just doesn't feel right for some reason. I do agree with trying to incorporate the Tomahawk on the jersey script, I think that will help. Cool idea though!